CPG Aeronautics.... » The return of the Artemis rockets? The return of the Artemis rockets? 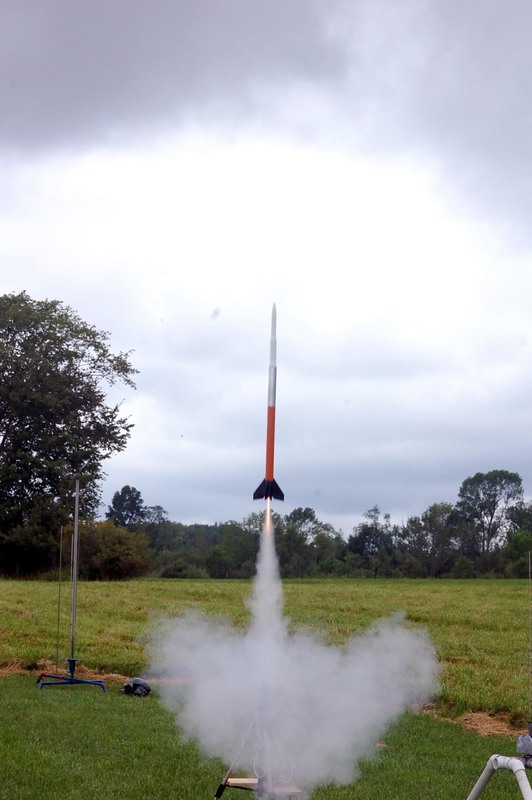 I’m preparing one of the Artemis rockets to make a re-appearance at the upcoming GLRMR XI event. If time permits, I may launch Artemis booster “Garfield” for a flight or two to test a new altimeter. The last Artemis rocket launch was on July 25th when Garfield was used on the first operational use of our (then) new launch pad (Launch pad #1), which has since seen heavy use as my main (and only) launch pad, as well as “spill over” duty at MTMA launch meets. Garfield blasts off from launch pad #1 for the first time on July 25th. There may be other missions planned for the Artemis boosters this year. One possible (and exciting one) will be if I decide to modify one of the Artemis boosters to fly a boilerplate for the upcoming Carina Shuttle glider project. The purpose would be to test for aerodynamic stability in the proposed booster design.